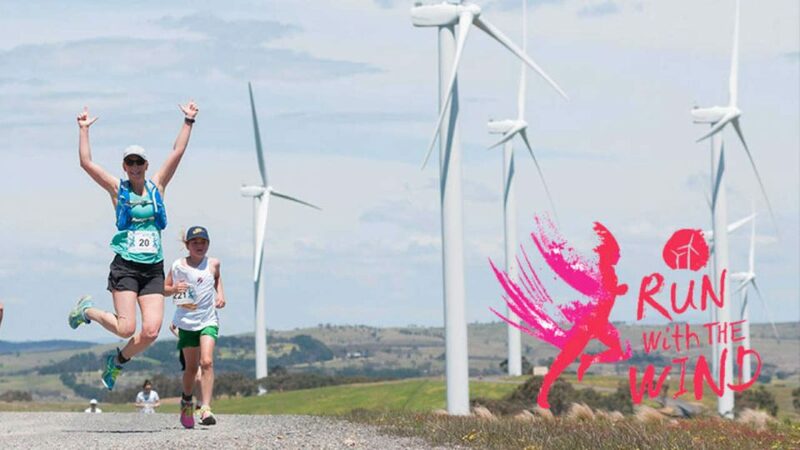 Run with the Wind on Sunday, 21 October 2018 is a 5km and 10km fun run event that features a unique course through Infigen Energy's Woodlawn Wind Farm near the towns of Tarago and Bungendore, NSW, approximately 45 minutes drive from Canberra and under 3 hours from Sydney. This event is the perfect opportunity to run surrounded by stunning views of rural landscapes and the majestic Lake George. More than 600 runners take part annually in what is probably one of Australia's most unique fun runs. This mildly challenging course will give all competitors a huge sense of enjoyment.